Q: How can I receive additional information on your developments? A: To lean more about specific developments, please contact the appropriate agent for the one you are interested in. You may also fill out our information request form on our website. One of our agents will then contact you directly. Please include the development you are interested in as well as any other pertinent contact information. 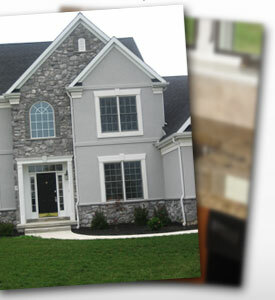 Q: How do I begin the process for purchasing a Heartland Builders, Inc. home? A: Our process typically begins with a visit to one of our model homes and an initial consultation with one of our sales agents. At that time, the sales agent will review the community, lot availability and answer any questions that you may have about the buying process. Following this initial meeting, you will have a follow up meeting with a representative of Heartland Builders, Inc.
Q: What will be discussed when I meet with a Heartland Builders, Inc. representative? A: The representative will review your lot and house design with you, as well as go over any other options you wish to have included in your new home. Following the meeting, we will prepare a formal proposal detailing your selections; this proposal will be available for you to personally review. Once you have approved the proposal, we can then begin the home-building process! Q: Do you have any relationships with local mortgage companies? A: Yes, we do. We work closely with many of the local mortgage companies and local banks. If you are interested in recommendations, please contact a representative of Heartland Builders, Inc. and we will be happy to provide that info for you. Remember, you are always free to choose the mortgage company you prefer to work with. Q: What type of selections will I get to make for my new home? A: During the home-building process, you will meet with our Decorator to coordinate the interior and exterior selections for your new home. In addition, you will meet with our Kitchen Designer and our lighting, flooring, plumbing and electrical Contractors. Our dedicated team of Designers and Contractors are more than ready to help you design the home you’ve always dreamed of owning! Q: What if I have questions during the construction of my home? A: You will have direct access to our Project Manager during the construction process. Our Project Manager is dedicated to managing and overseeing all aspects of your home’s construction from design to settlement. Q: Will I have access to my home while it is under construction? A: Yes. As construction nears completion, you will have a pre-settlement walk through to review any questions you may have about your home. © Heartland Builders, Inc. All rights reserved.